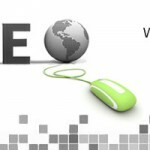 Learn how we devise and execute our SEO services for your website. The SEO Process ensures inclusion of every essential SEO technique within the entire SEO campaign. BrainPulse Technologies has been offering Internet marketing solutions for over 10 years now and with our experience we have crafted a unique SEO methodology. Our SEO Process defines a process through which, right from inception to execution all the crucial aspects of an SEO campaign are researched /studied and a complete SEO strategy is defined to set the course of the campaign for eventual results. Based on Google guidelines, our SEO methodology help us create Google Panda & Penguin compliant SEO services. In order to begin with the search engine optimization of your website, it is important to comprehend the meat of your site. The meat is basically the elements carrying potential to affect your site's SEO. Seeds are keywords that define the base theme of the campaign and lie on the top line in the keyword value pyramid. Using these keywords competitors are identified (Approximately 5 Competitors) across the web, through all major search engines. These competitors are then evaluated through various analytic metrics to understand their strength and pitfall in terms of both On-Page and Off-Page optimization. Understanding how and what your rivals are doing to stay in the online market is of upmost priority. Competitive analysis metrics are devised to help you interpret your competitor's search engine optimization strategy intelligibly. To compete, it is important to know where you stand when compared with your competitor. A similar exercise is conducted on your website to understand the key SEO variables to see how your website measures up against your competitors. Based on the above comparative study, an SEO strategy is devised in terms of both On-Page and Off-Page to ensure that your website has what it takes to get there (No.1). Our complete strategy is designed in accordance with the Google SEO guidelines and white hat SEO techniques to ensure utmost creditability. Now that you have built your search engine optimization strategy, it is important to focus on its appropriate implementation. Naturally, this too has a step-by-step SEO process that is required to be followed diligently. Once the targets are set and implementation embarks on, the web site starts performing better on SERPs rankings, click-through rates, web site usability and conversion rates. Using a combination of web analytics, compile report on how your website is performing from a traffic and conversion perspective.The enterprise class web analytics solution provides rich insights into your website traffic and marketing effectiveness. It gives you a way to analyze your traffic data in an entirely new way. With Analytics, monitoring your reports and getting automatic alerts of significant changes in data patterns is ensured. Also, it becomes much easier to strengthen your marketing initiatives accordingly and create higher converting websites. Still have queries? Call us now on 0120-6790400 to get in touch with our Professional SEO Services Team. They will tell you about our exclusive SEO Process made specially for the businesses like you.